this large pearl necklace is everywhere at the moment, its beautiful and i love it. This is £10 from topshop. 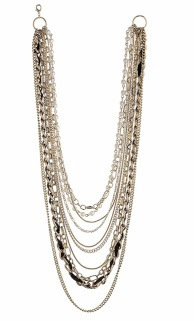 this gorgeous multi-link chain necklace is £12 from miss selfridge. i'm in love with this 3-row ribbon bangle its gorgeous and should be a real sell out. 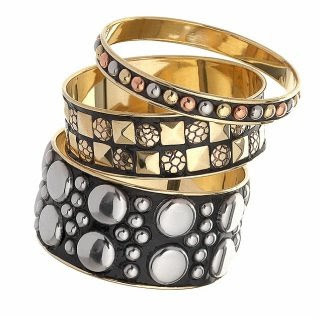 this studded bangle pack shows the rock chick and wear them with a black leather jacket. they are £15 from miss selfridge. 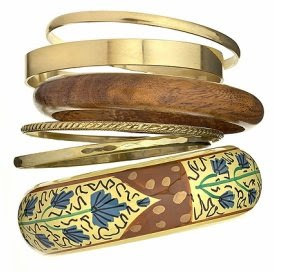 this gorgeous painted bangle set is so on trend right now and only £12 from dorothy perkins. 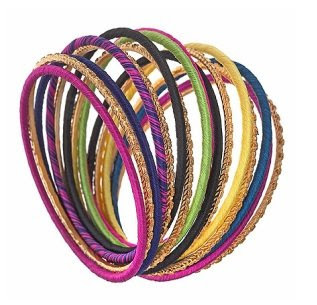 this thread wrapped bangle set is stunning, the colours are beautiful and only £10 from topshop. 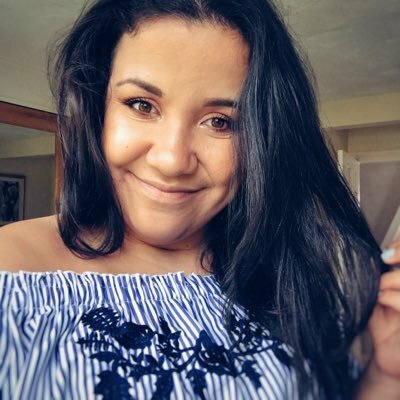 The weird thing about the leaf necklace from TopShop is that I bought the exact same gold version of it from Diva Australia about 3 years ago! Imagine my surprise when I saw it pop up over here at Topshop, Miss Selfridge (UK stockists of Diva), Joy, etc! Fashion recycling at its best...! esp the first and last necklaces! love the third necklace and the first bracelet! Love the first necklace and the first bracelet a lot! Great post! Great finds! 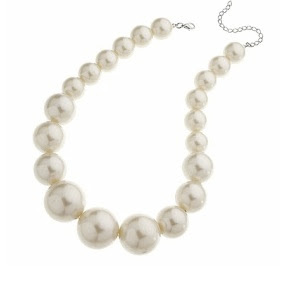 I agree with the Topshop pearl necklace... I've seen that on so many people. 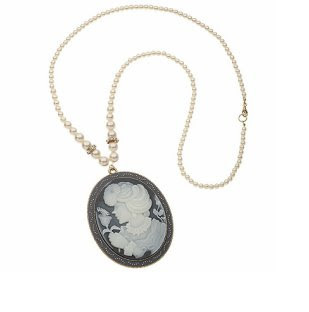 Love all the bracelets and the old-fashioned cameo necklace! 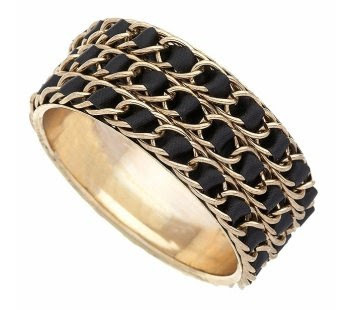 i'm obsessed with bangles so i love all of those too! 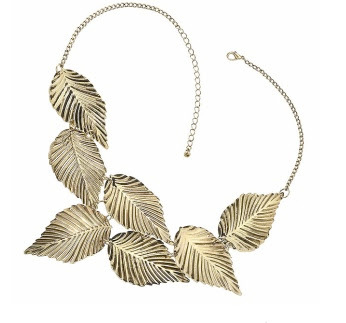 I bought 2 years ago the same leaf necklace in topshop but in black (mat).